Christians, much like Country singers, have come to be categorized by a genre of music that values lyrical formulas over artistic craft. 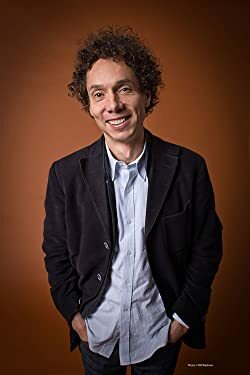 My favorite podcast—since the day it launched—is Malcolm Gladwell’s Revisionist History. I’m always excited when a new episode auto-downloads on my phone, and I rarely let an episode sit an entire day. This week’s episode is entitled “The King of Tears,” and Gladwell’s premise is that country music is the best genre for connecting with people and eliciting emotional responses. It’s another fantastic episode, but about halfway through, I realized: “Uh oh. He’s wrong on this one.” Here’s why. It’s the kind of mistake you’d have to be steeped in a certain tradition to recognize, and I happen to fit that demographic. 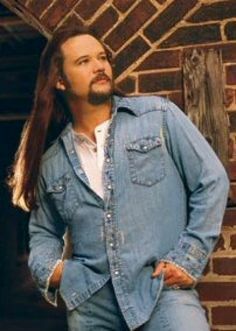 I was raised on CCM (Contemporary Christian Music), a genre which shares the same fatal flaw as country music. And this flaw is tricky. It makes you think the music is powerful and moving, but it’s actually a shortcut. It short-circuits the creative process, and robs the listener of something vital. Ok. I’ll follow him most of the way on this point. Details matter for good art. To create in God’s world, we have to dig into the real STUFF of creation. Get our hands dirty. Work with the raw materials. That requires making abstractions concrete. It’s taking an idea and incarnating it—wrapping it in flesh. This is what it takes to make art live. But I refuse to concede that the kind of specificity that country music traffics in is better—or more emotionally attuned—than what rock music (or other genres, for that matter)—offer. Many country songs tell stories (sometimes good stories! ), and you get to enjoy hearing the story unfold. You can be moved by the story, but you don’t find yourself reflecting, wondering, or soul searching. You’re moved emotionally in the same way that a story out of Chicken Soup for the Soul moves you. It’s all spelled out for you, and you get to respond in a sappy way. This is the same impulse that has defined CCM. It has to be clear, it has to be positive, and it usually has to invoke God at least 2.5 times per song. There’s nothing wrong with clear communication, but as I’ve written elsewhere, co-opting an art form and making it a vehicle for a sermon diminishes the power of that art form (though it might remain interesting a sermon substitute). We could also dismantle Gladwell’s argument this way: some of the most emotional music ever written is classical. Can Gladwell (or anyone human) listen to Mozart’s “Lacrimosa” or Bach’s Mass in B Minor or Smetana’s “Moldau” and not well up in tears? Please. It’s incredibly rich emotionally, but the words are not English. There is specificity, but it’s not specificity in the characters or references that create the emotion, it’s the specific relationships between the notes and tones that does the emotional heavy lifting. I’m sorry, but Gladwell’s premise is so demonstrably false. So what’s the takeaway? I’ve written at length about this over the years, but: Christians ought to be among the most creative people on earth because of our connection to the Creator and because he has called us to continue his work of creation (when God placed the first humans in the garden, their task was to “work it and take care of it” (Gen. 2:15)). Yet tragically, we have in some senses come to be categorized by a genre of music that shies away from creativity, that values lyrical formulas over artistic craft. I lose interest with country music for this very reason. I love sweet little stories, but if there’s nothing to ponder, if everything has been spelled out and I’ve been told how to think and feel, if there is no mystery to capture my imagination, then I can listen to the song once and move on. And that’s a great definition for bad music. I’m glad that Malcolm Gladwell tears up when he listens to Garth Brooks, and I thank God that many Christians are inspired when they listen to CCM. But we can do better. And thankfully, we often do. Indeed. I’d merely point to the level of response, and more importantly the type of response to Chester Bennington’s passing, from people of my generation, as evidence. I had the same reaction. Halfway through I thought, well, this time he goofed. I like your Chicken Soup for the Soul comparison. I was insulted, too, that he seemed to say that my opinion that Wild Horses is a sadder and better song than the CCM song he compared it to is indefensible because I’m an elite city dweller who either doesn’t experience pain like down-to-earth country folk do, or I can’t articulate it as well as they can, which is what you’re saying about classical music, so true that, too. Yeah. He didn’t revise any history for me this week.